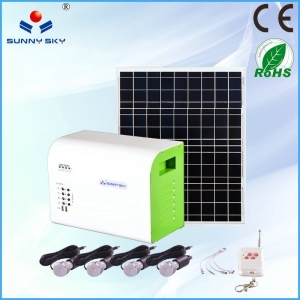 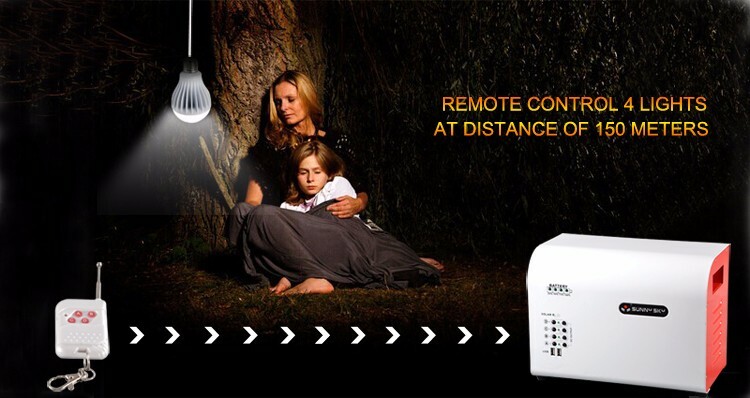 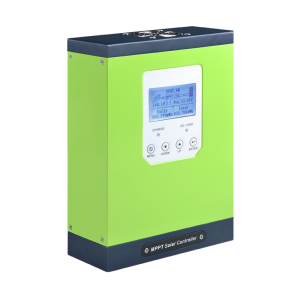 sunnysky solar system for home TY-056A is a set of solar power system for home use, he can use in remote areas without electricity, can also be used in the field when the product is equipped with a 50W solar panels, the daily power generation in the 200W- 300W, equipped with 38AH battery, you can store 456W of electricity, and can be used for less than 300W electrical appliances. 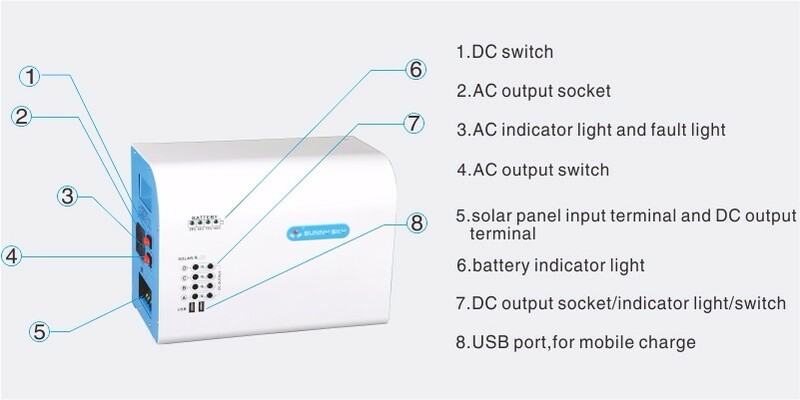 Charging time By solar panel about 5.76 hours. This solar power kit can supply power for mobile phones, MP3 players,lights, fan,tablet PC, laptop, printer, small TV etc. 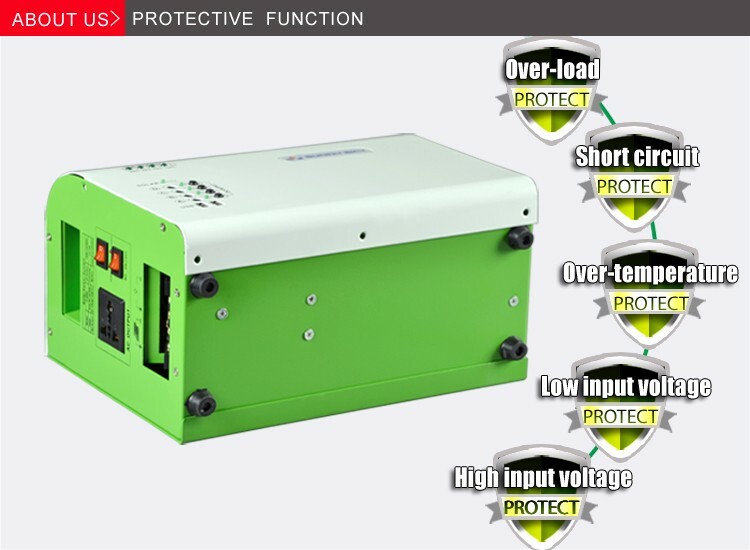 Please note that total load power cannot exceed 300w, inductive load power should be less than 100w. 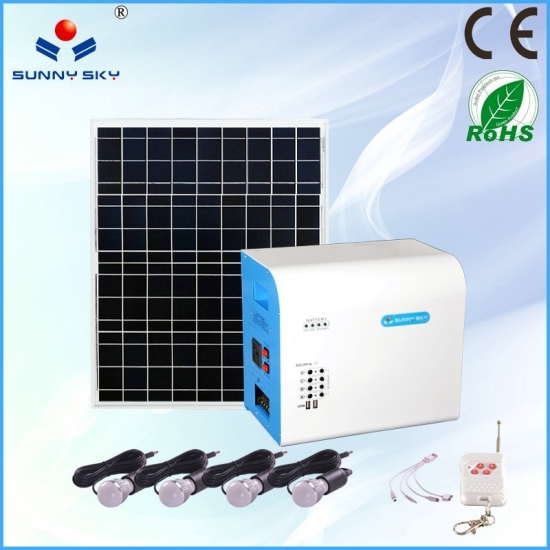 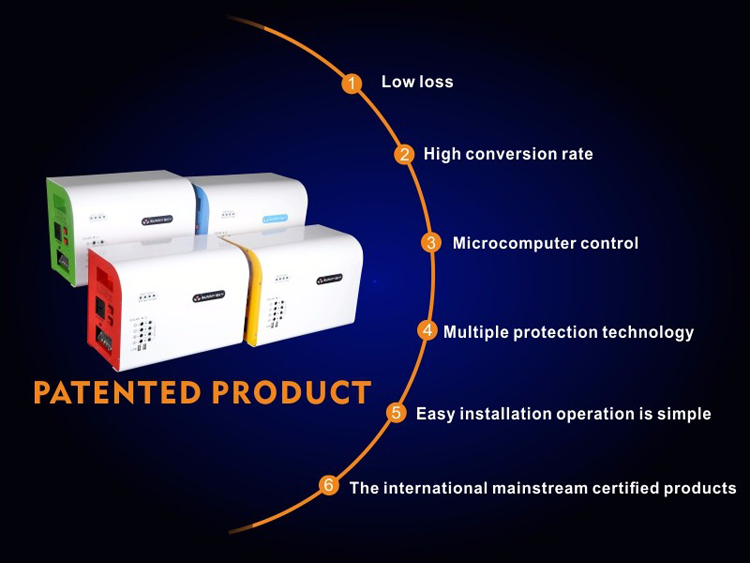 [ A: ]We have our own factory,and we produce solar panel, controller and inverter, the battery is purchased from other factory. 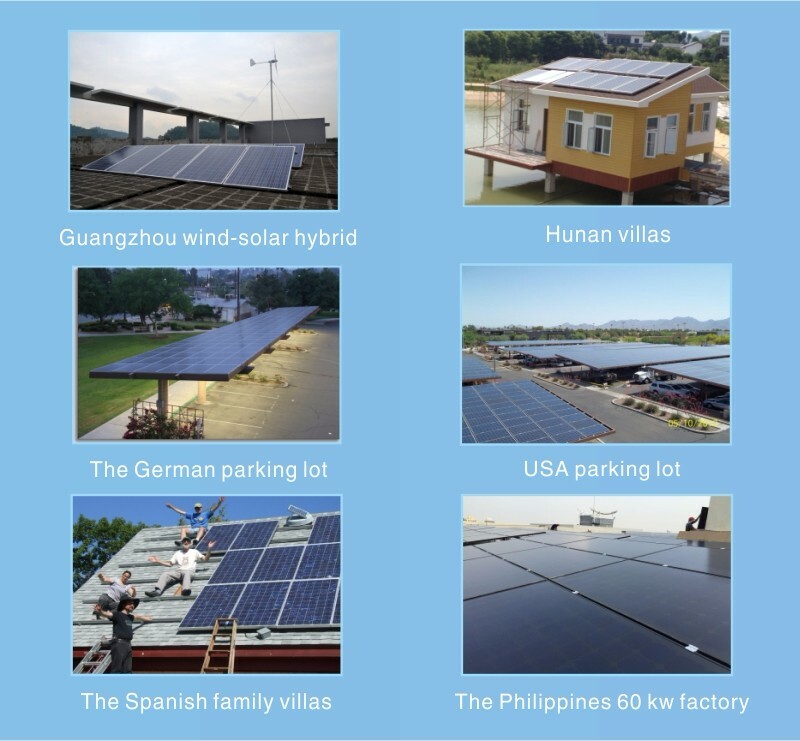 [ A: ] We begain in 2007, and speciallized in PV power generation. 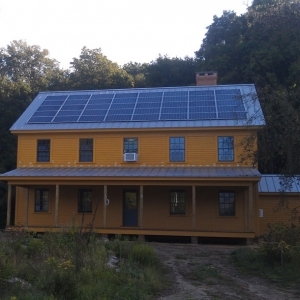 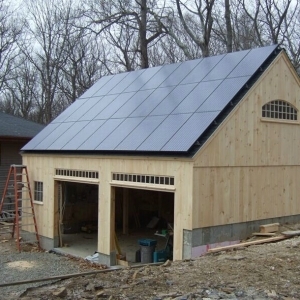 [ A: ] Solar energy is a locally available renewable and free resource. 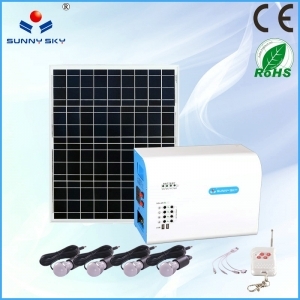 Electricity produced by PV system is clean and silent. 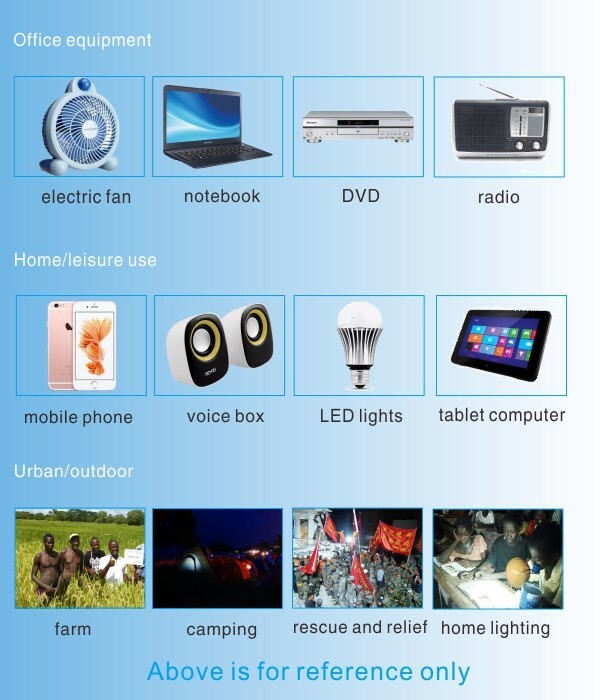 What’s more, the government has up to 40% allowance. 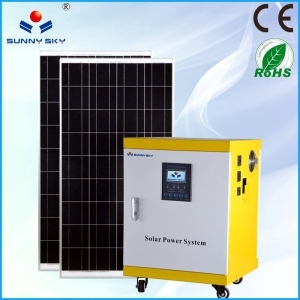 4 [Q:] What factors is related to generated energy of solar power system? 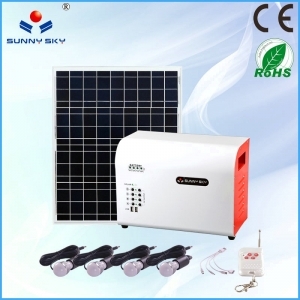 [A:]in addition to efficiency, another key point is the sunshine. 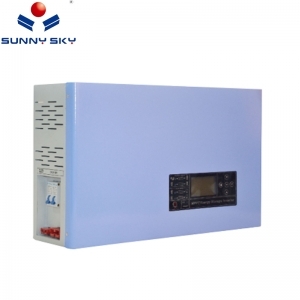 The longer Sunshine time, the more generated energy. 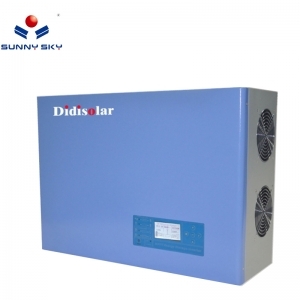 it is related to the intensity of sunshine as well, it is less in the morning and at night, more at noon; It is more in Summer and Autumn, less in Winter and Spring. 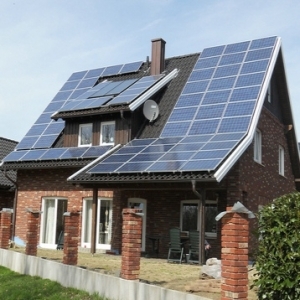 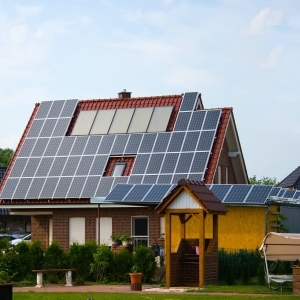 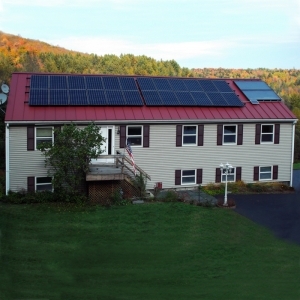 5 [ Q: ]What factors will influence the efficiency of solar power system? 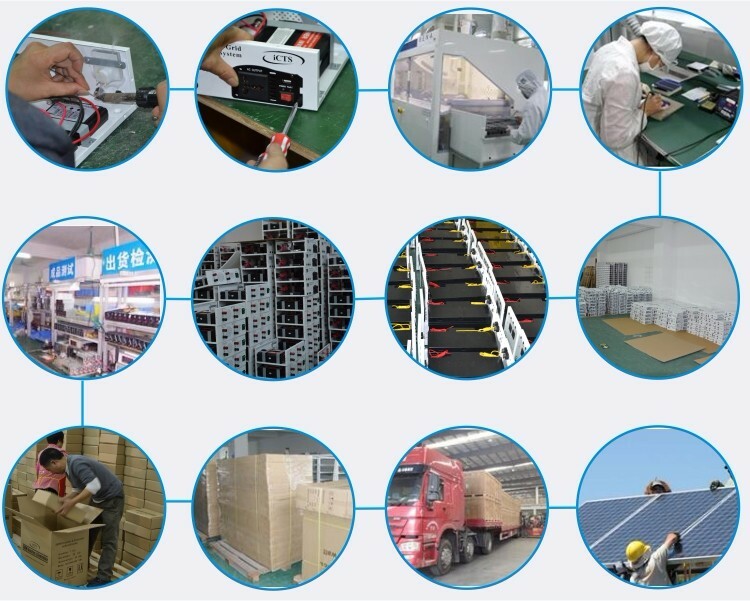 Components efficiency of the system, weather,direction of the system, the installing angle, etc. 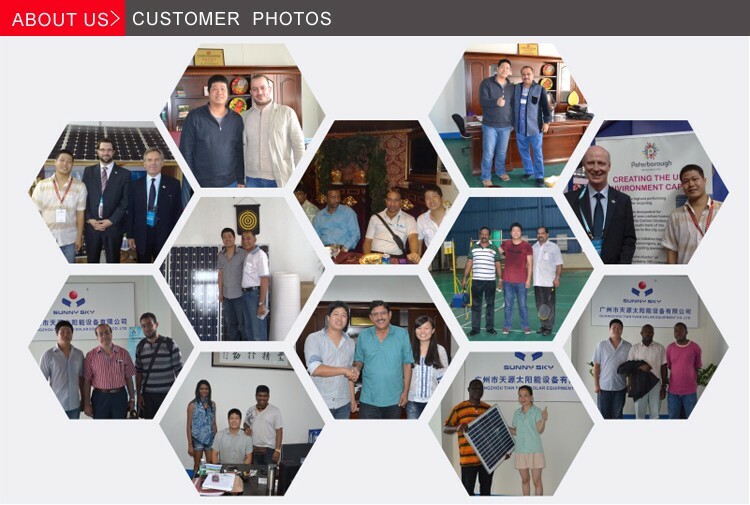 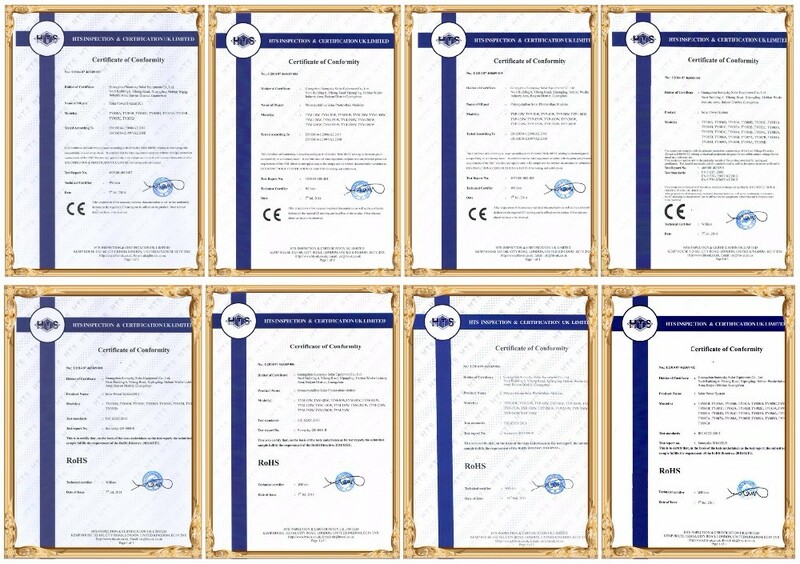 Welcome to our website, for more information, just contact us !